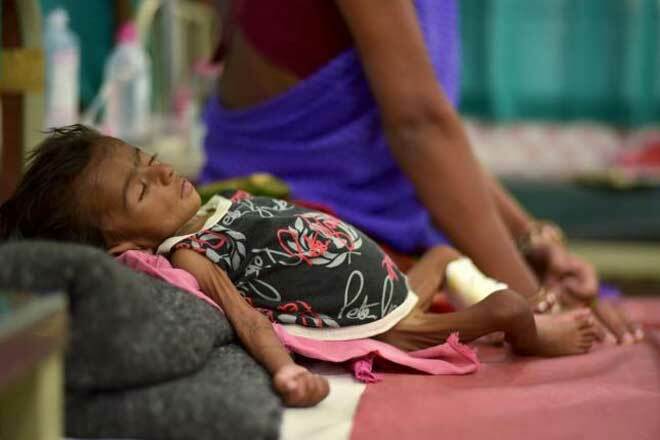 More than 1.7 million children in India are likely to die of pneumonia by 2030, despite the infection being easily treatable, a global study released recently has warned. The study, released on the occasion of the World Pneumonia Day, found that the infectious disease is likely to kill nearly 11 million children under five by 2030. Nigeria, India, Pakistan and the Democratic Republic of Congo (DRC) are likely to bear the highest burden of deaths, according to the report by UK-based non-profit Save the Children. The report also shows that more than four million of these deaths — over a third — could be easily averted with concerted action to improve rates of vaccination, treatment and nutrition. The disease is the biggest infectious killer for children globally, killing more than malaria, diarrhoea and measles combined. As many 880,000 children, mostly under the age of two, died from the disease in 2016, the most recent year for which full data is available. “There is a vaccine available, and a course of antibiotics costs just 54 cents AUD,” said Paul Ronalds, CEO, Save the Children. “There are no pink ribbons, global summits or marches for pneumonia. But for anyone who cares about justice for children and their access to essential healthcare, this forgotten killer should be the defining cause of our age,” he said. The agency’s forecasts are based on a model developed by researchers at Johns Hopkins University in the US called the Lives Saved Tool (LiST). The report states that nearly 10,865,728 children will die by 2030 on current trends, with the highest burden of deaths in Nigeria (1,730,000), India (1,710,000), Pakistan (706,000), and the Democratic Republic of Congo (635,000). However, scaling up vaccination coverage to 90 per cent of children under the age of five could save 610,000 lives; providing cheap antibiotics could save 1.9 million; and ensuring children have good nutrition could save 2.5 million. If all three overlapping interventions were carried out by 2030, the model suggests a total of 4.1 million deaths could be averted. The year 2030 is the target date for the Sustainable Development Goals (SDGs), which include an ambitious global pledge to ‘end preventable child deaths’ and achieve Universal Health Coverage.